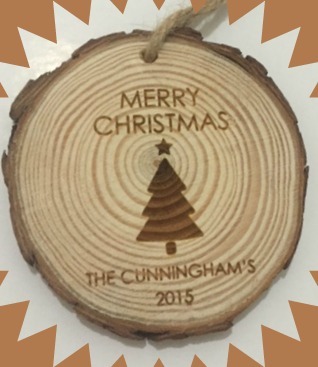 Who doesn’t like a nice personalised item gifted to them? I love things which just gives it a nice little touch and its not just bought from the shop last minute. (all kind of wedding day related). So i was over the moon when Treat Republic offered me the chance to review some items from their Personalised Wedding and Christmas Gifts! Treat Republic began from a passion for gifting and creative personalisation and launched in 2012 with the aim of making personalised gifts that were inspired by all the things they love. The parcel arrived within days of me ordering it and it was very well packed and wrapped up so nothing could break whilst in transit. The first item i received was this lovely Mr & Mrs Couple Keepsake Box which is exactly what i had in mind as a gift for my other half. The keepsake box is fully lined with velvet feel interior and i cannot wait to fill it with all our little keepsakes from our big day! You can personalise it with your surname and your date as well as the option of Mr/Mr, Mrs/Mrs or Mr/Mrs (and a few other ones like Dr., Ms, Miss,…) which i think is fantastic. 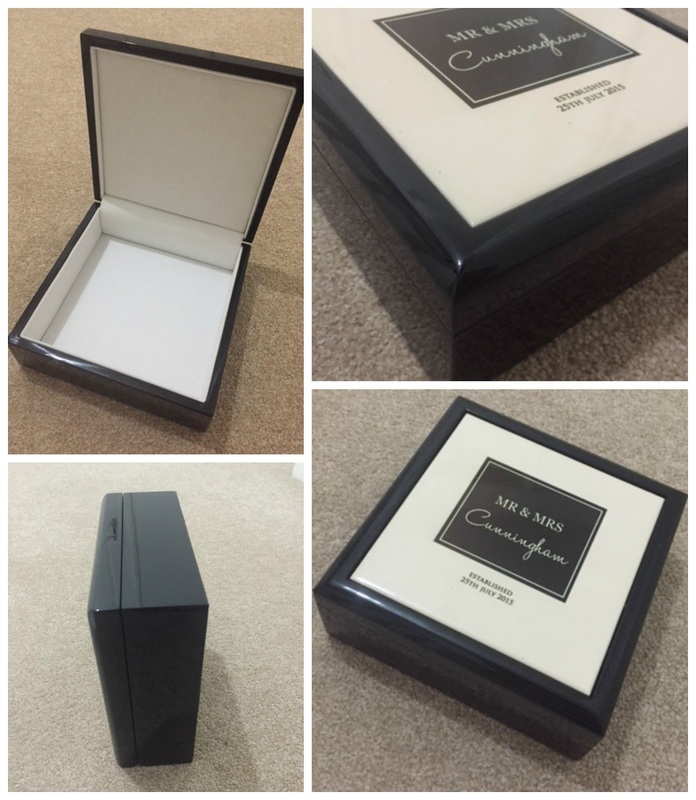 I love the glossy black finish and stylish look to it and think its a very good quality item and just the right size, the price of £35 is reasonable for such a nice item. The second item in my parcel was this round pine Christmas Tree Hanging Decoration which assembles part of our rustic table decoration we had on our wedding and it also fits just perfectly into a Family Traditions of ours since we had our firstborn. Each member of the family gets a Christmas Ornament to hang up ever year on our Christmas tree so this year being officially a Family it will get a special place on our tree! Its hung with a rustic woven cord and can be personalised with a message up to 35 character around the Christmas tree design in the middle and it costs £12. Both items i receive would make a great Christmas or even Anniversary Presents for any newlyweds or new parents to hang on and put under the Christmas tree this year. If you want to give your loved ones something personalised this year why not head to the Treat Republic website to check out all their other fantastic gifts! Disclaimer: I have been send some personalised gifts from Treat Republic for reviewing purposes, but all thoughts and opinions are mine.